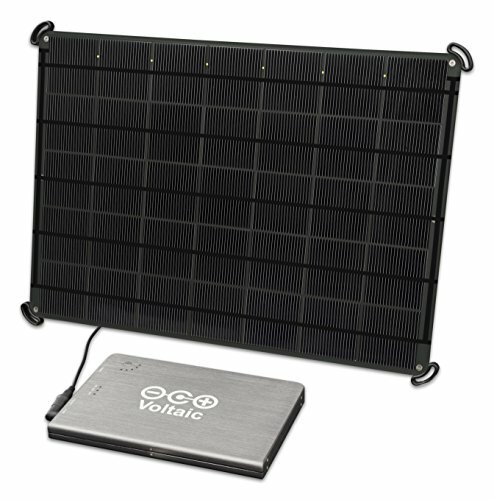 Rugged and lightweight, this 17 Watt solar panel with V72 laptop battery provides fast solar charging for laptops (including MacBooks with an adapter), digital cameras, GoPros and tablets. Along with your purchase you'll receive our Solar for Laptop Charging Guide with tips for charging your laptop from solar. *MacBooks, Microsoft Surface Pro (2/3/4), and some Dell and HP laptops computers may require additional adapters. Contact seller for details. If you have any questions about this product by Voltaic Systems, contact us by completing and submitting the form below. If you are looking for a specif part number, please include it with your message.